Doreen Gentzler, Bob Ryan and Arch Campbell share their favorite memories of Jim Vance and what he meant to them. D.C. has lost a legendary journalist and friend. 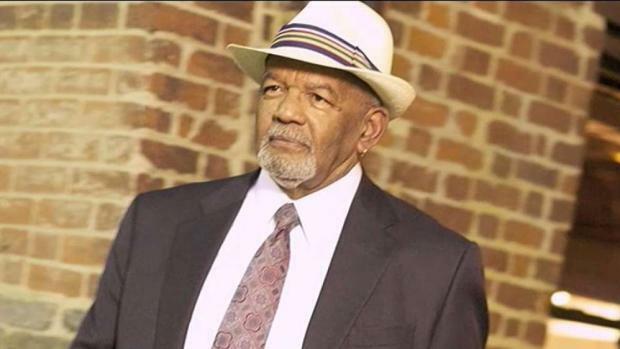 As word of Jim Vance's death spread on Saturday, his family and NBC4 received an outpouring of support, memories and condolences. Vance probably wouldn't have liked to admit it, but he was big-time. And D.C. loved him. "He loved this city and we loved him back," D.C. Mayor Muriel Bowser said. "I know I speak for all 681,000 of us in sharing my condolences with his family, with his work family, with all of his viewers and just thanking him for a job well done." Over his decades on News4, Jim Vance had an impact on radio, too, inspiring many personalities. Molette Green reports. The Washington Nationals said they would hold a moment of silence for Vance before Tuesday night's game. And Del. Eleanor Holmes Norton paid homage to Vance on the floor of the U.S. House of Representatives Monday evening. "The District of Columbia has lost a local legend with the passing of Jim Vance," Norton said in a statement. "Jim endeared himself to residents for decades by telling our city’s story straight every evening, topped off with pointed commentary, which was particularly valued by his loyal viewers." Former colleagues lifted up Vance as a journalist. "Washington loved Jim Vance," said Bob Ryan, who worked at NBC4 alongside Vance for decades. "He was loved not because he was a TV anchorman, a celebrity or a 'personality.' He was loved because of his life, his continuity in our lives and the trust we had in him. Every day for 30 years I would watch him edit bad grammar or a poorly written news story on the fly, as he read it. No one I ever worked with could do that. There is and was only one Vance. What a life. What a journalist. What a friend. Knowing and working with him enriched my life and also I 'had a ball,' as Vance would say. He'll always be with everyone who loves him." "I saw people fall in love with him, the viewers fall in love with him and I also saw Washington embracing him during the time when he was challenged with some personal issues. He was very open about them and he won the hearts of a lot of people who could see themselves in his issues," said former WJLA anchor Maureen Bunyan. Washington leaders, including Mayor Muriel Bowser and former U.S. Attorney General Eric Holder remember Jim Vance. News4's Tom Sherwood and Doreen Gentzler report. At Ben's Chili Bowl, Rev. Jesse Jackson paid tribute to Vance. "He really was an international journalist on a local station. People around the whole world knew Jim Vance, because he set the pace," Jackson said. "Whether he was in Anacostia or Northwest D.C. or at the White House, Jim Vance always had a certain presence about him," Jackson continued. Virginia Ali, whose family runs Ben's Chili Bowl, said she was honored that last month that Vance attended a ceremony to unveil the new mural outside. "It was absolutely the most exciting part of the day," Ali said. "He set such an example for young people." Washington Post columnist Colby King wrote Saturday, "He and I spoke of things not easy to talk about: what it’s really like on the job — it ain't all sunshine and roses. And what it means to be clinically depressed, a condition that we shared." "I was saddened to learn of the untimely death of my friend and Washington, D.C. icon, Jim Vance," Prince George's County Executive Rushern Baker said in a statement. "Jim has been a role model for me and countless others from the first time we saw him anchoring the news in the late 1970s. He inspired us all because we could see ourselves in him. Jim was someone we could count on to tell us the truth and he delivered the news in a way that drew us in. He was thoughtful, compassionate, extremely smart and genuine." Vance was an active member of the Greater Washington Urban League. The organization mourned his passing in a statement released Monday. "There is a great cloud of sadness over the region upon learning of Jim’s transition," said Greater Washington Urban League President and CEO George H. Lambert, Jr. "We had known about his challenges with cancer, but we also knew that Jim was always a fighter and that if there was anyone who would defeat it, it was Jim Vance." Vance's passing has been felt not just throughout the D.C. area, but throughout the country. "When I hear the name Jim Vance I think of a king, man. ... He was the king of news; he was the king of anchors, you know, and people. Think that only applies to D.C.? No. I mean a king around this entire country," said Donnie Simpson, a longtime DJ and one of Vance's friends. "He was just a person who never forgot where he came from. Always understood that people looked up to him, respected him and he gave that respect back. And I think that came through in real life and on the screen as well," said former U.S. Attorney General Eric Holder. Broadcast legend and NBC News special correspondent Tom Brokaw said Vance "defined professional cool and accomplishment." "Rest in peace, my friend," Brokaw said on Twitter. The National Association of Black Journalists remembered him as a pioneer for African-American journalists. 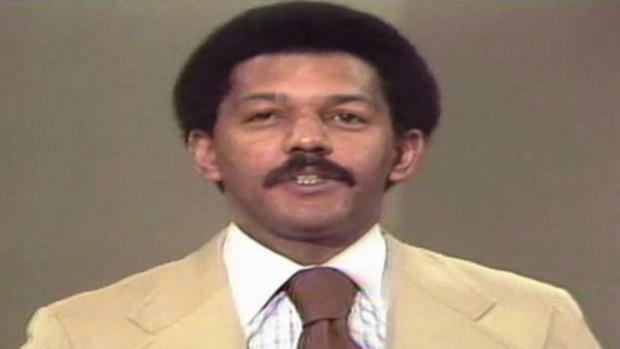 "As one of the first African-American primetime anchors in a major television market, Vance was an impeccable deliverer of news, keeping the citizens of Washington informed for 45 years. He inspired multiple generations of African-Americans to pursue journalism as their craft. His beautiful spirit touched everyone he met and lives on in the scores of working journalists he mentored," NABJ President Sarah Glover said in a statement. 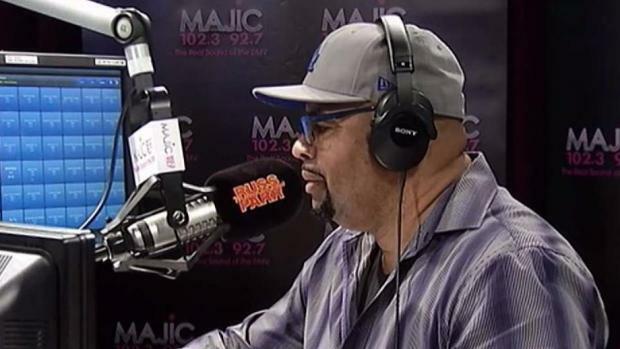 His calming delivery, quick wit and sharp style -- and, of course, that unforgettable moment when he could not stop laughing on air -- Vance was a true legend. "It was all about the information he was giving to the audience; it wasn’t about him. He did it with grace and humor, he had a terrific personality. And all of it were the ingredients of making a good news broadcaster," D.C. broadcaster Gordon Peterson said. "Jim Vance was one of our important local figures of the past half century. In some ways he was a more important figure, leader, then all of our politicians. Because he would tell it like it is. He didn't just report the news but conveyed a sense of what's right and wrong, or forgivable in recognition of human frailty," D.C. Council Chairman Phil Mendelson said. NBC News correspondent Blayne Alexander had the opportunity to learn from Jim Vance when she was an intern. "I knew him, in the same way everyone else did, as a TV newscaster," Mendelson said. "But I also knew Jim as an adoptive parent, and as a citizen of D.C., and as someone who cared deeply about our community. Jim will be missed. And that's an understatement." "Jim was always Jim," Simpson said. "24/7 -- I don’t care who he was talking to, he’d be in the presence of the president or the janitor. It was always the same. He knew who he was, he knew who you were, he respected you, he had time for you."